Photo courtesy of LEUNA-Tenside GmbH. Vantage Specialty Chemicals Holdings Inc. based in Chicago, Illinois, U.S.A., a leading provider of naturally derived ingredients focused on personal care, food, consumer, and industrial end markets, has agreed to purchase LEUNA-Tenside GmbH from VR Equitypartner, a private equity firm based in Frankfurt, Germany, and BIP Investment Partners, based in Luxembourg. LEUNA-Tenside GmbH, which is based in Leuna, Germany, was founded in 1995 as part of the management buyout of a business division of the former Leuna Werke and has various large-scale chemical plants on an area of around 100,000 m². VR Equitypartner and BIP Investment Partners acquired a majority interest in LEUNA-Tenside in 2015. A global chemicals company, LEUNA-Tenside is a market leader in niche, specialty surfactant production. Surfactants are vital ingredients utilized in the manufacturing of a wide range of products for daily use across personal care, consumer goods, as well as industrial applications. For the lubricants industry, LEUNA-Tenside produces additives for lubricant application, including medium and long-chain chlorinated paraffins. 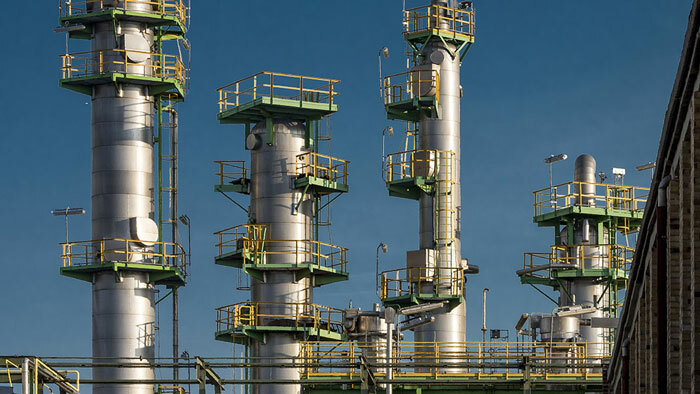 Meanwhile, Vantage Specialty Chemicals produces fatty acids, which can be used to make solid lubricants for molding applications and lubricating greases as well as liquid lubricants for metal machining and engine oils. “When we invested in LEUNA-Tenside, the company was already quite future-oriented. Together with the management, we optimized the organizational structures, expanded the product portfolio on a targeted basis, invested in the commercial organization and thereby significantly further enhanced profitability,” said Christian Futterlieb, managing director of VR Equitypartner. VR Equitypartner is a subsidiary of DZ BANK, the leading institute of cooperative banks in Germany, and one of the leading equity financiers in Germany, Austria and Switzerland. “For us, Vantage’s interest in Leuna represents a strong validation of our work to date and a recognition of the tremendous opportunities available for the business which include enhanced access to the international markets, especially to the U.S. market, and numerous cross-selling opportunities. I am excited about working together with Vantage to continue to execute on the growth and expansion plans for this site, which is a very positive signal for our colleagues working here,” said LEUNA-Tenside Managing Director Steve Döring. The agreement still requires the approval of the regulatory authorities. The value of the transaction was not disclosed.